Tilton’s 600-Series 3-pedal floor mount assembly features traditional fixed-mount master cylinder and balance bar technology and provide excellent performance at competitive prices. Pedal assemblies are available in floor-mount, firewall-mount and overhung configurations. 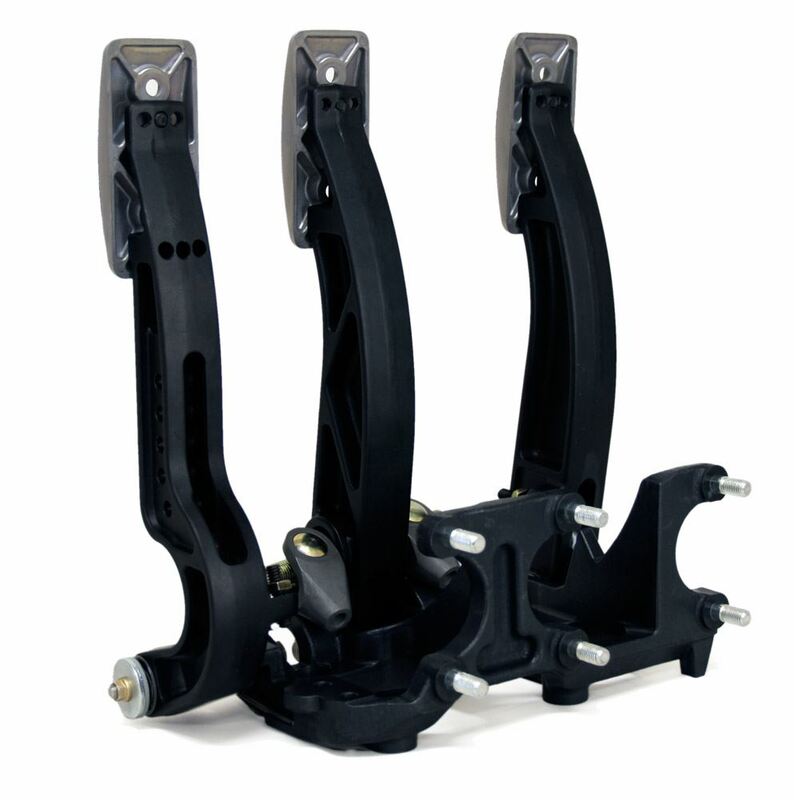 Forged aluminum pedals with adjustable (vertical & horizontal) foot pads and anti-slip surfaces. Adjustable pedal ratio (5.29:1, 5.44:1, 5.61:1, 5.75:1) enable the brake pedal to be tuned to driver preference without having to change master cylinder bore size. Large diameter 7/16”-20 balance bar provides maximum rigidity. PTFE coated aluminum clevises for increased durability and reduced friction. Pedal pivots feature wave washers to reduce lateral pedal movement and oil impregnated bronze bushings decrease stiction. Lightweight aluminum frame features guide “ramps” to reduce balance bar tipping, decreasing friction and improving brake repeatability. The 75 series range of alloy master cylinders from Tilton are designed for brake and clutch use where space is limited. The short body still allows for a full 1.1 inch stroke to provide enough fluid displacement for most applications. 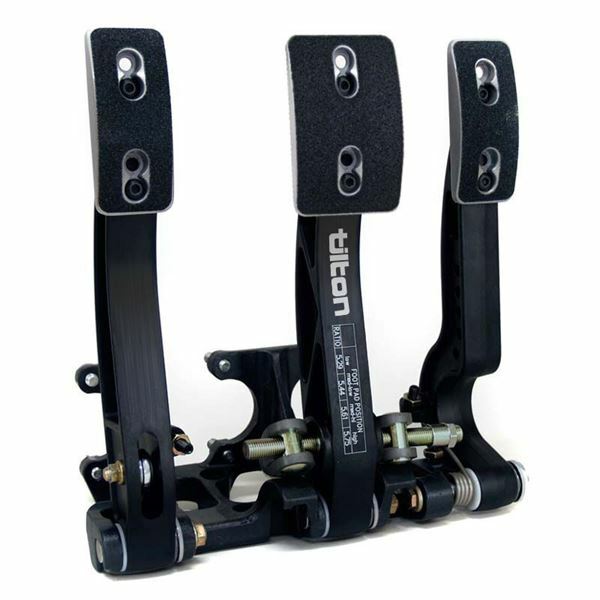 The Tilton remote adjusters are designed to attach to brake balance bars to enable the driver to make adjustments quickly during competition. 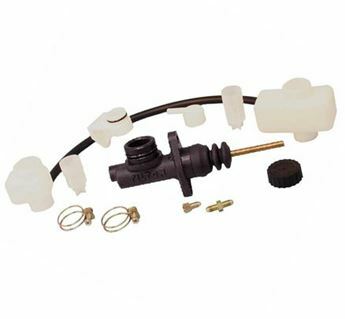 The Tilton 3 Chamber Brake And Clutch Fluid Reservoir range is a simple, compact and versatile product for brake and clutch fluid requirements.